The big brother of the Stella Pro 5000, the Stella Pro 7000 gives you the output of HMI lights that are more than three times its weight and size. 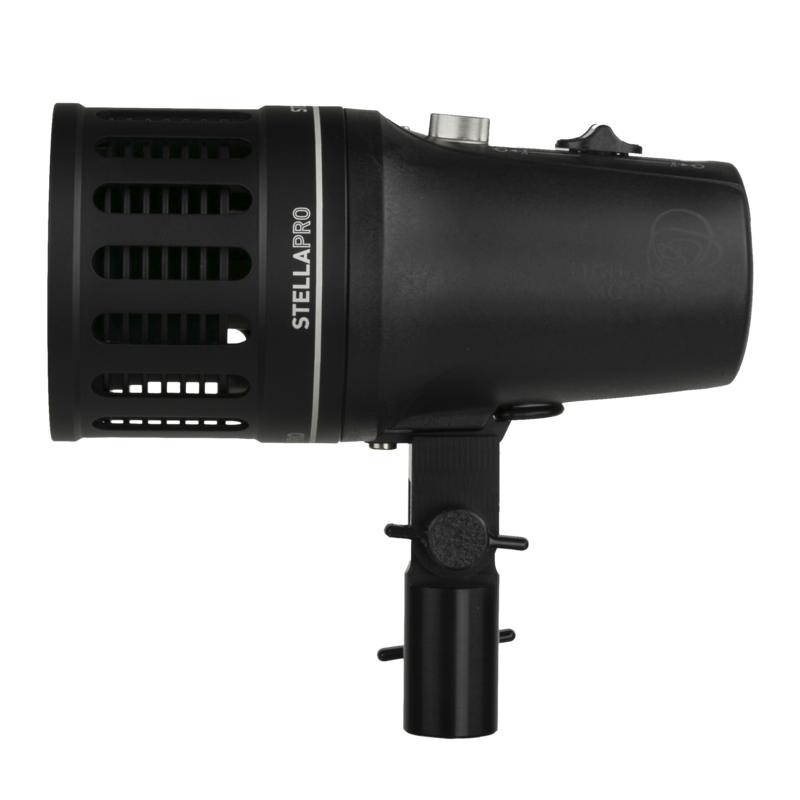 The integrated battery makes it the most punchy, portable fresnel around. And there’s not a cord in sight! 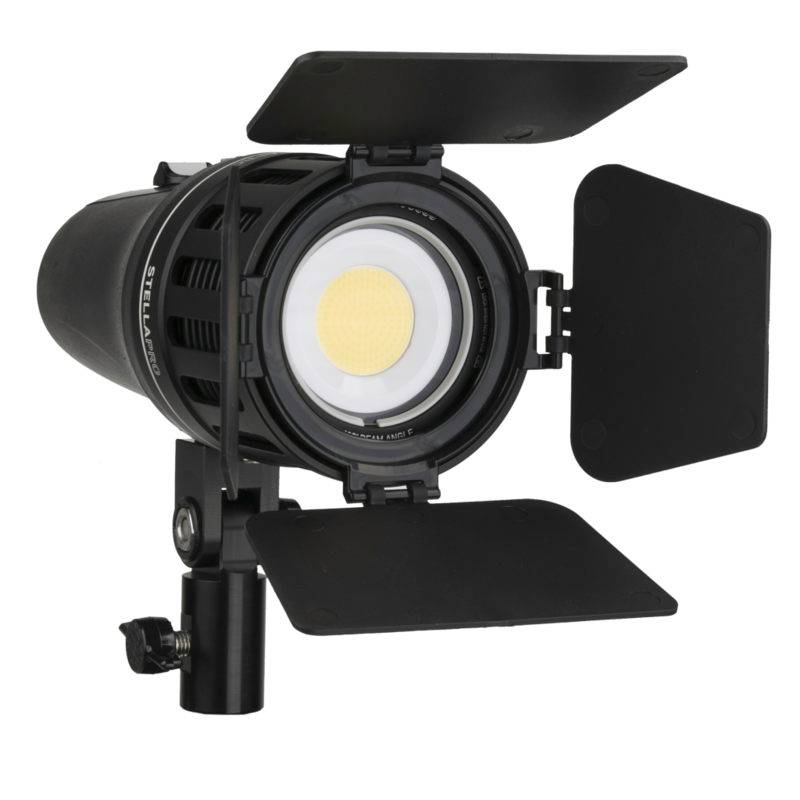 The integrated Li-ion rechargeable battery will power the Stella Pro 7000 for 60 minutes on full power, or for up to 250 minutes on a lower intensity. The battery recharges in less than 2 hours. You can also use it with an external Vlok battery if you’re out and about. 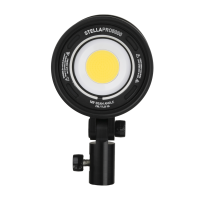 One of the best features of the Stella Pro product family is the clear consistent feedback you get from the display on the back of the light. You can see at a glance what the battery level is and how much shooting time you have left on the existing charge depending on the intensity you choose. 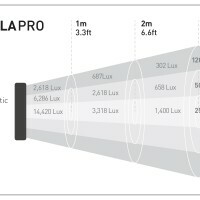 The Stella Pro 7000 has a low decibel onboard fan, which kicks in when the lumen level exceeds 5000. Below that level it operates completely silently like its smaller sibling. 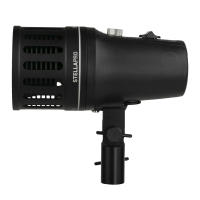 The output from this unit gives light that renders colours beautifully and consistently with a steady intensity. This nifty light comes with a wide range of mounting options, lighting modifiers and a choice of power options. The Stella Pro 7000 boasts a uniquely rugged, and totally weatherproof design. Light & Motion, the Californian manufacturers have tried everything to make it fail. But the Stella Pro 7000 bounces back every time. 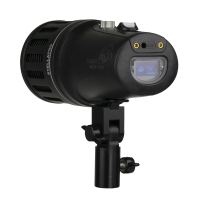 The Light & Motion team are so convinced of the ruggedness of the Stella Pro 7000 that it is sold with a 2 year ‘enhanced experience guarantee’ ! 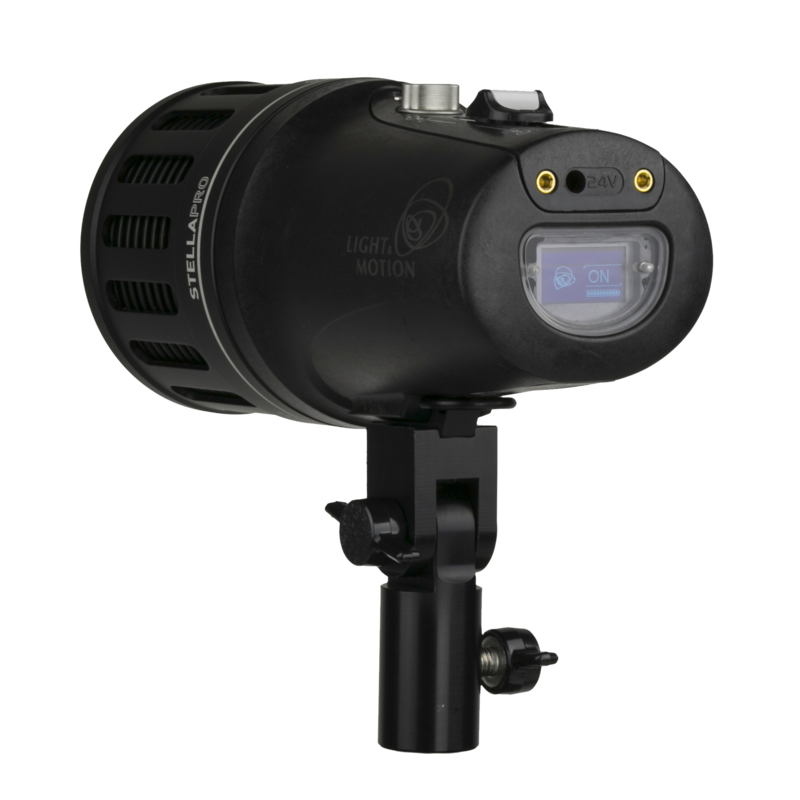 Brighter than HMIs three times as large and heavy! Quick bit of maths please: required Please check your adding up. Total of 9 + 10 please. 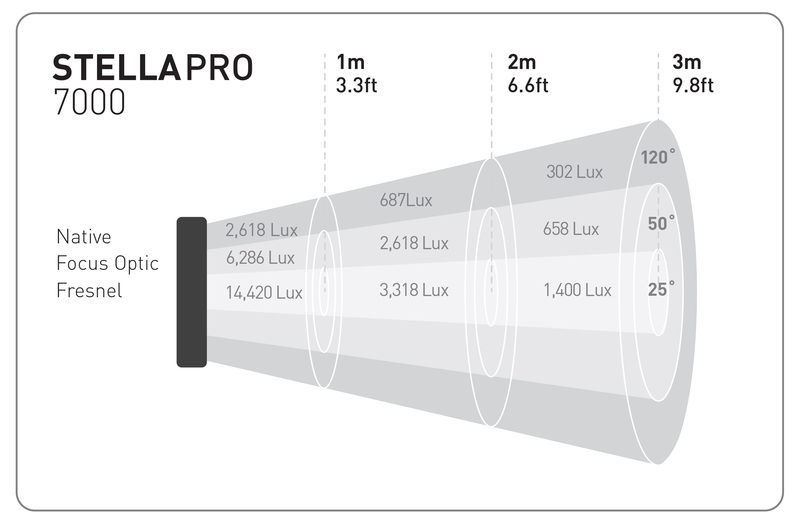 thanks for forwarding on information about the Stella Pro 7000.